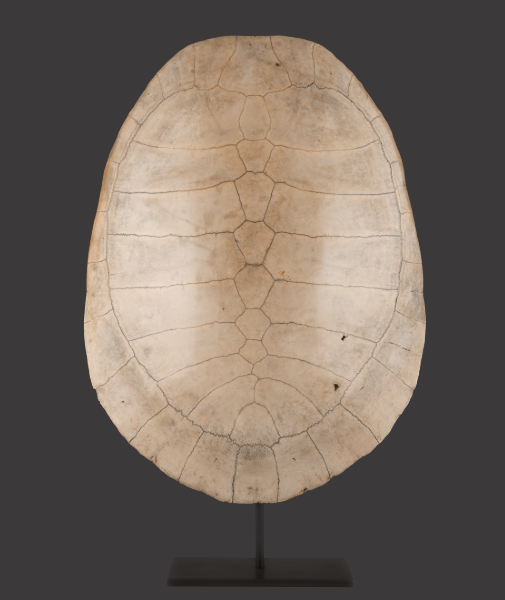 For more than half a century, ‘albino’, or ‘blonde’, turtle carapace have been coveted and highly prized by collectors due to their rarity, impressive visual impact, striking colour and character, indeed they have always been considered an essential ingredient in the formation of a cabinet of curiosities or ‘kunstkammer’. 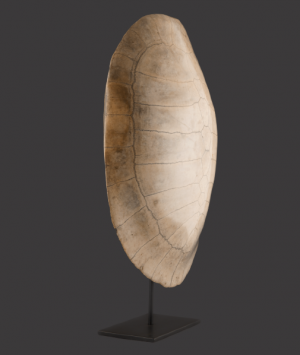 Having been encountered by very few people in previous centuries, the shells of these stunning creatures conjured up images of exotic species, unexplored lands and far away oceans. Many of the specimens seen today found their way into England during the 18th and 19th Century after being caught by sailors for use as food on board ships. A common method employed to capture the turtles involved the sailors concealing themselves on a beach until the unfortunate creatures came ashore where they would be quickly flipped on to their backs, rendering them quite helpless while not discouraging others from approaching, hence the origin of the term, ‘to turn turtle’. The sailors would capture as many turtles as they could to provide them with fresh food while at sea. 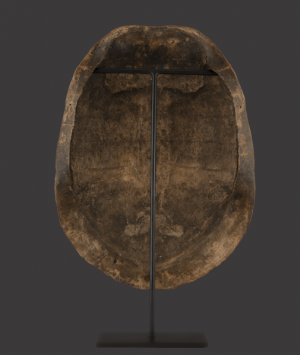 They were kept alive on deck either upside down on their shells or in salt water tanks, with one large turtle reputedly providing enough meat to serve a crew of 300 men. Once the flesh had been consumed, the surplus shells could be put to use by providing entertainment for idle seamen who relished any activity to help relieve the monotony of a long sea voyage and possibly supplement their income. Such activities were often encouraged by a ships captain as it helped the crews morale. The sailors would carefully remove the encrustation and barnacles from the carapace, which were then subjected to many hours of polishing, often achieving a glossy finish to enhance their beautiful appearance. This process would also reveal marks caused by previous close encounters with predators, some shells displaying signs of superficial damage in the form small holes caused by shark bites. On returning home they would often be given as gifts to loved ones and were commonly used as fire screens or sold as curiosities. Many carapace display evidence of their former use with the presence of heat reflective paints on the interior or old piercings made for suspension.